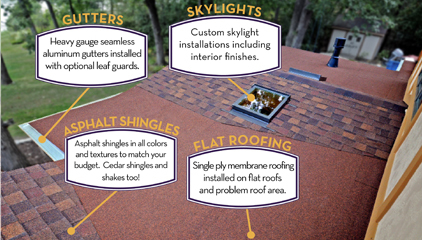 for your roofing, gutters, painting, siding and general contracting needs. We bring over two decades of installation experience to each project we complete. Leaks in your roof, gutters or exterior walls can lead to rot, decay and serious structural problems. Keeping your home or business dry is the most important maintenance responsibility you have. Our goal at Kings Contracting Inc. is to solve your leak or maintenance problem while providing quality installations backed by our Leak Guarantee. 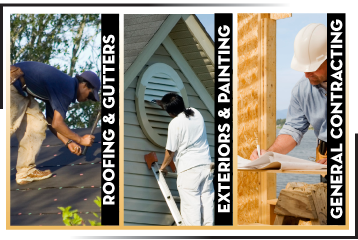 We are fully licensed bonded and insured (IL Lic# 104-015572). If water is not your problem let us design and build a solution that fits your needs, budget and schedule. We’re able to take your ideas and combine them with our vision and experience to bring your ideas to life. Contact us today to set up an appointment at our showroom in beautiful downtown Fox Lake or an inspection at your location today!